Ready to experience golf in a new way? 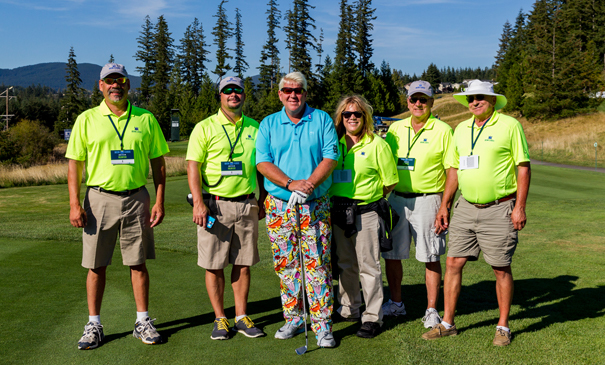 When you volunteer for the Boeing Classic, you rub elbows with the legends of golf, you are front and center of the action, all while taking in the breathtaking views of The Club at Snoqualmie Ridge. Top off your experience with fun new Cutter & Buck gear! There are 19 fantastic volunteer committees to choose from! Nearly 1,000 people volunteer each year for the Boeing Classic PGA TOUR Champions Golf Tournament, the region’s premier annual golf event which benefits Benaroya Research Institute at Virginia Mason.